It is a concept that has developed out of a predominantly western legal tradition of intellectual property law, and has most recently been promoted by the World Intellectual Property Organisation, as part of a more general United Nations push to see the diverse wealth of the world's indigenous, intangible cultural heritage better valued and better protected against perceived, ongoing thievery. 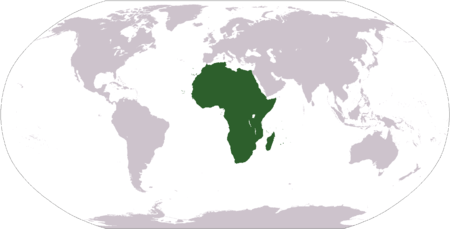 Nation states across the world have experienced difficulties reconciling local indigenous laws and cultural norms with a predominantly western legal system, in many cases leaving indigenous peoples' individual and communal intellectual property rights largely unprotected. Therefore, international bodies such as the United Nations have become involved in the issue, making more specific declarations that intellectual property also includes cultural property such as historical sites, artefacts, designs, ceremonies, and performing arts in addition to artwork and literature. While a number of Native American and First Nations communities have issued tribal declarations over the past 35 years, in the lead up to and during the United Nations International Year for the World's Indigenous Peoples (1993) then during the following United Nations Decade of the World's Indigenous Peoples (1995–2004) a number of conferences of both indigenous and non-indigenous specialists were held in different parts of the world, resulting in a number of unified declarations and statements identifying, explaining, refining, and defining 'indigenous intellectual property'. 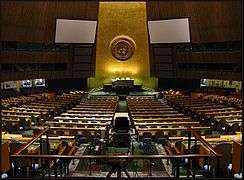 Before ceremonies and ceremonial knowledge were affirmed as protected intellectual property by the U.N. General Assembly, smaller coalitions of Indigenous cultural leaders met to issue declarations about protection of ceremonial knowledge. "Mechanisms [ought to] be established by which indigenous specialists are recognized as proper Authorities and are consulted in all programs affecting them, their resources and their environment"
"Procedures must be developed to compensate native peoples for the utilization of their knowledge and their biological resources"
The Kari-Oca Declaration and charter was first affirmed in Brazil in May 1992, and then re-affirmed in Indonesia, in June 2002. Ratifying the document were Indigenous peoples from the Americas, Asia, Africa, Australia, Europe and the Pacific who, at Kari-Oca Villages, united in one voice to collectively express their serious concern at the way the world was exploiting the natural resources upon which indigenous peoples depend. At the Lakota Summit V, an international gathering of US and Canadian Lakota, Dakota and Nakota Nations, about 500 representatives from 40 different tribes and bands of the Lakota unanimously passed a "Declaration of War Against Exploiters of Lakota Spirituality." Representatives affirmed a zero-tolerance policy on the exploitation of Lakota, Dakota and Nakota ceremonial knowledge. 7. We urge all our Indian brothers and sisters to act decisively and boldly in our present campaign to end the destruction of our sacred traditions, keeping in mind that our highest duty as Indian people: to preserve the purity of our precious traditions for future generations, so that our children and our children's children will survive and prosper in the sacred manner intended for each of our respective peoples by our Creator. 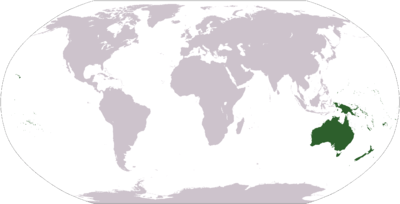 On 18 June 1993, 150 delegates from fourteen countries, including indigenous representatives from Japan (Ainu), Australia, Cook Islands, Fiji, India, Panama, Peru, Philippines, Surinam, United States and Aotearoa (New Zealand) met at Whakatane (Bay of Plenty region of New Zealand). The assembly affirmed Indigenous peoples' knowledge is of benefit to all humanity; recognised Indigenous peoples are willing to offer their knowledge to all humanity provided their fundamental rights to define and control this knowledge is protected by the international community; insisted the first beneficiaries of Indigenous knowledge must be the direct Indigenous descendants of such knowledge; and declared all forms of exploitation of Indigenous knowledge must cease. 2.1: Recognise that Indigenous peoples are the guardians of their customary knowledge and have the right to protect and control dissemination of that knowledge. 2.2: Recognise that Indigenous peoples also have the right to create new knowledge based on cultural tradition"
2.3: Accept that the cultural and intellectual property rights of Indigenous peoples are vested with those who created them. ...Indigenous Peoples and Nations reaffirm their right to define for themselves their own intellectual property, acknowledging...the uniqueness of their own particular heritage. Aboriginal intellectual property, within Aboriginal Common Law, is an inherent, inalienable right which cannot be terminated, extinguished, or taken... Any use of the intellectual property of Aboriginal Nations and Peoples may only be done in accordance with Aboriginal Common Law, and any unauthorised use is strictly prohibited." For members of indigenous peoples, knowledge and determination of the use of resources are collective and intergenerational. No...individuals or communities, nor the Government, can sell or transfer ownership of [cultural] resources which are the property of the people and which each generation has an obligation to safeguard for the next. Work must be conducted on the design of a protection and recognition system which is in accordance with ..our own conception, and mechanisms must be developed .. which will prevent appropriation of our resources and knowledge. There must be appropriate mechanisms for maintaining and ensuring the right of Indigenous peoples to deny indiscriminate access to the [cultural] resources of our communities or peoples and making it possible to contest patents or other exclusive rights to what is essentially Indigenous. For the Indigenous peoples of Asia, the intellectual property rights system is not only a very new concept but it is also very western...[W]ith [western style] intellectual property property rights, alien laws will be devised to exploit the Indigenous knowledge and [cultural] resources of the Indigenous peoples. Indigenous peoples are not benefiting from the intellectual property rights system. Indigenous knowledge and [cultural] resources are being eroded, exploited and/or appropriated by outsiders in the likes of transnational corporations, institutions, researchers, and scientists who are after profits and benefits gained..
[Seek to] Strengthen the capacities of Indigenous peoples to maintain their oral traditions, and encourage initiatives by Indigenous peoples to record their knowledge .. according to their customary access procedures. "Urge universities, churches, government, non-government organizations, and other institutions to reconsider their roles in the expropriation of Indigenous people's knowledge and resources and to assist in their return to their rightful owners." Our traditional knowledge systems must be respected, promoted and protected; our collective intellectual property rights must be guaranteed and ensured. Our traditional knowledge is not in the public domain; it is collective, cultural and intellectual property protected under our customary law. Unauthorized use and misappropriation of traditional knowledge is theft. Article 11: Indigenous peoples have the right to practise and revitalize their cultural traditions and customs. This includes the right to maintain, protect and develop the past, present and future manifestations of their cultures, such as archaeological and historical sites, artefacts, designs, ceremonies, technologies and visual and performing arts and literature. Article 31: Indigenous peoples have the right to maintain, control, protect and develop their cultural heritage, traditional knowledge and traditional cultural expressions, as well as the manifestations of their sciences, technologies and cultures, including human and genetic resources, seeds, medicines, knowledge of the properties of fauna and flora, oral traditions, literatures, designs, sports and traditional games and visual and performing arts. They also have the right to maintain, control, protect and develop their intellectual property over such cultural heritage, traditional knowledge, and traditional cultural expressions. In conjunction with indigenous peoples, States shall take effective measures to recognize and protect the exercise of these rights." Traditional cultural expressions can include designs and styles, which means that applying traditional Western copyright laws – which apply to a specific work, rather than a style – can be problematic. Indigenous customary law can provide better protection. "It is a very alarming trend. So alarming that it came to the attention of an international and intertribal group of medicine people and spiritual leaders called the Circle of Elders. They were highly concerned with these activities and during one of their gatherings addressed the issue by publishing a list of Plastic Shamans in Akwesasne Notes, along with a plea for them to stop their exploitative activities. One of the best known Plastic Shamans, Lynn Andrews, has been picketed by the Native communities in New York, Minneapolis, San Francisco, Seattle and other cities. The 1993 Lakota Declaration of War (see above), urges people to identify instances where sacred traditions are being abused and to work toward stopping the abuse through demonstrations, boycotts, press coverage and direct intervention. 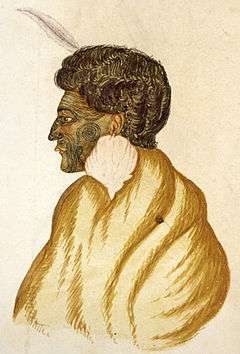 Te Rauparaha, alleged composer of Ka Mate. "...record the authorship and significance of the haka Ka Mate to Ngāti Toa and ... work with Ngāti Toa to address their concerns with the haka... [but] does not expect that redress will result in royalties for the use of Ka Mate or provide Ngāti Toa with a veto on the performance of Ka Mate...". However, a survey of nineteenth-century New Zealand newspapers found Ka Mate was used by tribes from other parts of New Zealand, and was generally described by them as being an ancient peacekeeping song, from eras long before its appropriation by the Ngati Toa chief Te Rauparaha. When Ngati Toa authorities were asked for evidence that Ka Mate was of Ngati Toa authorship, they were unable to provide any. In 2001 a dispute concerning the popular LEGO toy-line "Bionicle" arose between Danish toymaker Lego Group and several Māori tribal groups (fronted by lawyer Maui Solomon) and members of the on-line discussion forum (Aotearoa Cafe). The Bionicle product line allegedly used many words appropriated from Māori language, imagery and folklore. The dispute ended in an amicable settlement. Initially Lego refused to withdraw the product, saying it had drawn the names from many cultures, but later agreed that it had taken the names from Māori and agreed to change certain names or spellings to help set the toy-line apart from the Māori legends. This did not prevent the many Bionicle users from continuing to use the disputed words, resulting in the popular Bionicle website BZPower coming under a denial-of-service attack for four days from an attacker using the name Kotiate. 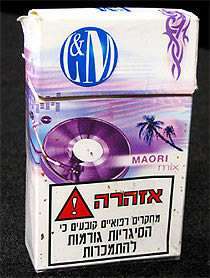 In 2005 a New Zealander in Jerusalem discovered that the Phillip Morris cigarette company had started producing a brand of cigarette in Israel called the "L & M Maori mix". In 2006, the head of Phillip Morris, Louis Camilleri, issued an apology to Māori: "We sincerely regret any discomfort that was caused to Māori people by our mistake and we won't be repeating it." In 1994 a couple of Native American tribes ordered a number of museums to close their intellectual property to the public. They were backed by the NAGPRA.They would disclose their property only after permission was requested directly to them. Vernon Masayesva, CEO of the Hopi Tribe, and a consortium of Apache tribes demanded a number of American museums the closure of their images, text, ceremonies, music, songs, stories, symbols, beliefs, customs, ideas, concepts and ethnographic field-notes, feature films, historical works, and any other medium in which their culture may appear literally, imagined, expressed, parodied or embellished." 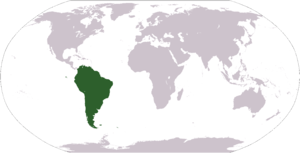 1 2 Working Group on Indigenous Populations, accepted by the United Nations General Assembly, Declaration on the Rights of Indigenous Peoples Archived 26 June 2015 at the Wayback Machine. ; UN Headquarters; New York City (13 September 2007): Article 31: "Indigenous peoples have the right to maintain, control, protect and develop their cultural heritage, traditional knowledge and traditional cultural expressions, as well as the manifestations of their sciences, technologies and cultures, including human and genetic resources, seeds, medicines, knowledge of the properties of fauna and flora, oral traditions, literatures, designs, sports and traditional games and visual and performing arts. They also have the right to maintain, control, protect and develop their intellectual property over such cultural heritage, traditional knowledge, and traditional cultural expressions." 1 2 OFFICE OF THE UNITED NATIONS HIGH COMMISSIONER FOR HUMAN RIGHTS (2007). "Indigenous peoples". Office of the United Nations High Commissioner of Human Rights. Geneva. Archived from the original (WEB PAGE) on 2007-11-07. Retrieved 2007-11-29. 1 2 3 4 5 WIPO Database of Indigenous Intellectual Property Codes, Guidelines, and Practices Accessed 28 November 2007. Archived 2 November 2007 at the Wayback Machine. ↑ Hadley, Marie (2009). "Lack of Political Will or Academic Inertia? - The need for non-legal responses to the issue of Indigenous art and copyright". Alternative Law Journal. Melbourne: Legal Service Bulletin Co-operative Ltd. 34 (3): 152–156. 1 2 3 4 5 6 Mesteth, Wilmer, et al (10 June 1993) "Declaration of War Against Exploiters of Lakota Spirituality." "At the Lakota Summit V, an international gathering of US and Canadian Lakota, Dakota and Nakota Nations, about 500 representatives from 40 different tribes and bands of the Lakota unanimously passed a "Declaration of War Against Exploiters of Lakota Spirituality." The following declaration was unanimously passed." 1 2 3 4 5 6 Taliman, Valerie (1993) "Article On The 'Lakota Declaration of War'." ↑ "Declaration of Belem" (PDF). 1988. Retrieved 2007-12-04. 1 2 FOURMILE 1996: Pages 266–267. 1 2 FOURMILE 1996: Pages 268–269. 1 2 3 FOURMILE 1996: Pages 270–272. ↑ OFFICE OF THE UNITED NATIONS HIGH COMMISSIONER FOR HUMAN RIGHTS (2007). "Declaration on the rights of indigenous peoples". Office of the United Nations High Commissioner of Human Rights. Geneva. Archived from the original (WEB PAGE) on 2007-11-24. Retrieved 2007-11-29. ↑ Hagan, Helene E. "The Plastic Medicine People Circle." Sonoma Free County Press. Accessed 31 Jan 2013: "Shequish...came to the attention of Native American people two years ago as an impostor who pretended to have Shumash ancestry. I received a personal telephone call and a letter from the Chairman of a Shumash group south of Monterey. This phone call and a letter followed a Council meeting in which Shumash people took the decision to put a stop to Shequish Ohoho's activities in the Bay area as an 'Indian woman.' A group of real Indian women of San Francisco led a protest against Shequish and effectively terminated her money making seminars and ceremonies in this area. Her real name and background are known to California Indians who have denied her any tribal affiliation." ↑ "All Blacks fight to keep haka". BBC News. 2000-07-16. Retrieved 2008-05-03. ↑ "Iwi threatens to place trademark on All Black haka". The New Zealand Herald. 2005-05-22. Retrieved 2008-05-03. ↑ "Iwi claim to All Black haka turned down". The New Zealand Herald. 2007-07-02. Retrieved 2008-05-03. ↑ "New Zealand Maori win haka fight". BBC News. 11 February 2009. Retrieved 29 April 2010. ↑ "Archer J.H. (2009) Ka Mate; its origins, development and significance" (PDF). ↑ Griggs, Kim (21 November 2002). "Lego Site Irks Maori Sympathizer". Wired. Retrieved 29 April 2010. ↑ "Disgust over 'Maori' brand cigarettes". TVNZ. 12 December 2005. Archived from the original on 13 June 2011. Retrieved 29 April 2010. ↑ Stokes, Jon (29 April 2006). "Tobacco giant apologises to Maori". The New Zealand Herald. ↑ Brown, Michael F. (April 1998). "Can Culture Be Copyrighted?". Current Anthropology. 39 (2): 193–222. doi:10.1086/204721. JSTOR 10.1086/204721. DRAHOS, Peter (2001). "The Universality of Intellectual Property Rights: Origins and Development" (DOC). World Intellectual Property Organisation. Geneva. Retrieved 2007-11-28. JONES, Peter (2008). "Intellectual Property, Indigenous Peoples, and the Law". Indigenous Peoples, Issues & Resources Website. Retrieved 2010-05-24. UNITED NATIONS GENERAL ASSEMBLY (2007). "United Nations Declaration on the Rights of Indigenous Peoples" (PDF). United Nations General Assembly. Retrieved 2007-11-26. 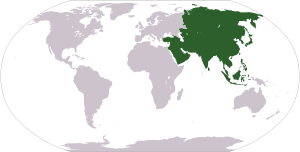 WORLD INTELLECTUAL PROPERTY ORGANISATION (2001). "Intellectual Property Needs and Expectations of Traditional Knowledge Holders:". WIPO Report on Fact-finding Missions on Intellectual Property and Traditional Knowledge (1998–1999). World Intellectual Property Organisation. Geneva. Retrieved 2007-11-28.